This is a reprint of an old article from the late Keith Green’s newsletter. It is by a Swedish biologist named Winkie Pratney and is incredibly insightful. As a scientist he presents an amazing plausible case fro the Holy Bible being inspired by God and its accuracy. 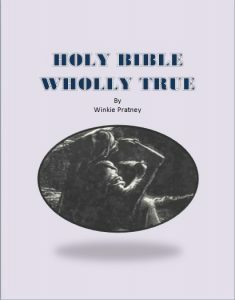 Many people argue that the Bible is just some made up book but Pratney does a great job presenting evidence that cannot be denied.